A while back I made four ingredient Nutella cakes. 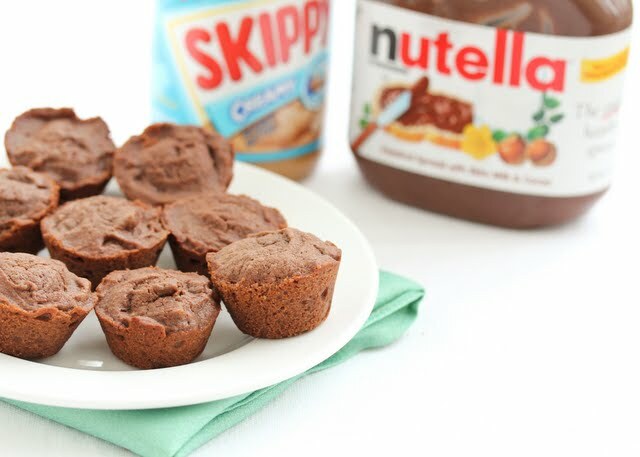 It’s still one of my favorite easy Nutella recipes because the Nutella taste is so strong. This weekend I decided to try experimenting with a Nutella and peanut butter mix. Despite both being spreads, peanut butter is much thicker than Nutella so the cake batter was much thicker than I anticipated. The cakes themselves remain moist though. I think next time I might cut down a little more on the peanut butter. Or perhaps make the peanut butter a filling for the inside. I do love how easy the cakes are to make and you can taste both the peanut butter and the Nutella. One bowl, one whisk, very little clean-up. 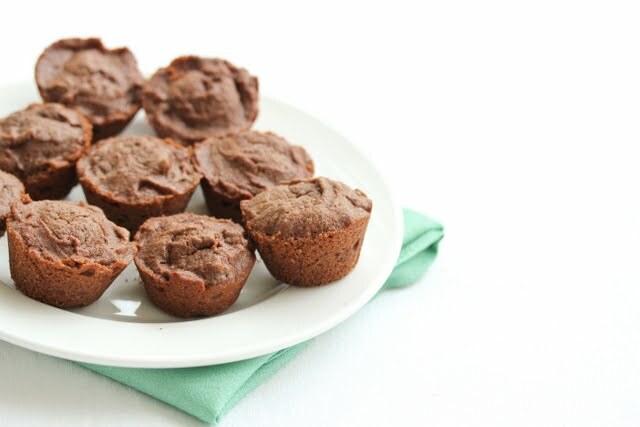 These mini cakes are made with Nutella and peanut butter. They're a sweet and easy-to-make treat! Preheat oven to 350°F. 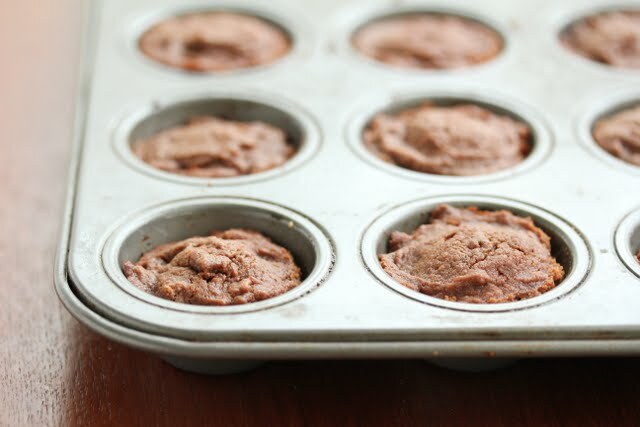 Line or grease mini cupcake/muffin pan. Combine the peanut butter, Nutella and egg in a medium bowl and whisk until smooth and well blended. 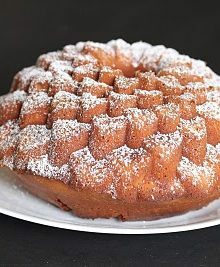 Add the flour and whisk until blended. Spoon the batter into the prepared muffin tins (about 3/4 full). Bake about 10 minutes until toothpick inserted comes out clean. Set on a rack to cool completely. Yay! 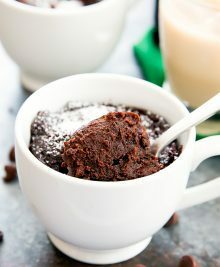 Another recipe to make! 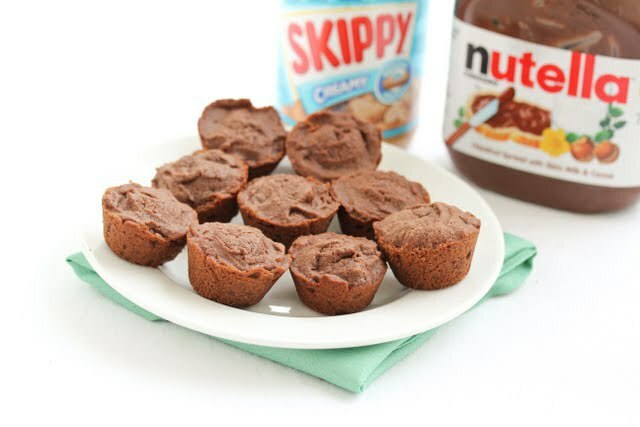 My husband will love these – pb and Nutella? It’s already a winner! I’ve been busy recently, so I came up with quite a few “quick” recipes to try. Ah thanks. Everything is better as mini! I didn’t do anything to decorate them so they are a little plain, but oh so good. 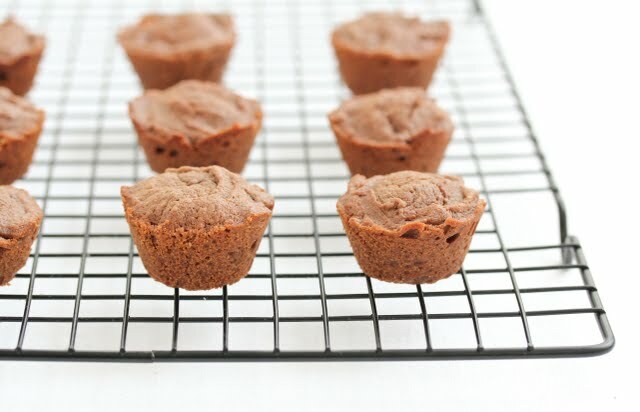 Oh man, trying them with a peanut butter filling sounds amazing… Like a peanut butter cup muffin! Ooh, that’s a good name. Peanut butter cup-cake. Okay that’s next on my list. I’m sorry you feel that way. I’ve always loved them and they were a big hit on the web with other blogs as well. But of course everyone has different tastes. I made these mini cakes for one of my co-workers’s birthdays and he loved it! ? they were a bit greasy but the taste was strong and amazing ? great job on this recipe! 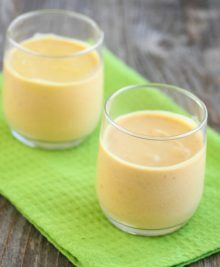 Do you notice any difference in your recipes between using peanut butter that is 100% peanuts versus the oil and sugar laden peanut butters such as Skippy, Jiff, etc? I made this today using 100% peanut butter, added some extra salt since it was unsalted, and it came out pretty bland. Well I never tried using the 100% peanuts. I’ve been using Skippy for this one, so that might be it. This did not work out how I planned and took 15 longer than they should’ve. They weren’t really like muffins. So what I did was cut off the top which turn out crunchy and chewy like a biscuit and had the moist bottom and I put on some nutella and sandwich them together which was very nice’n’tasty! Hmm, not sure why they took so much longer, but I’m glad you got them to work out.